Little ones will love meeting the persevering painters - Frida Kahlo, Lois Mailou Jones, and Mary Cassatt! These three ladies overcame tremendous obstacles to become world-changing artists! 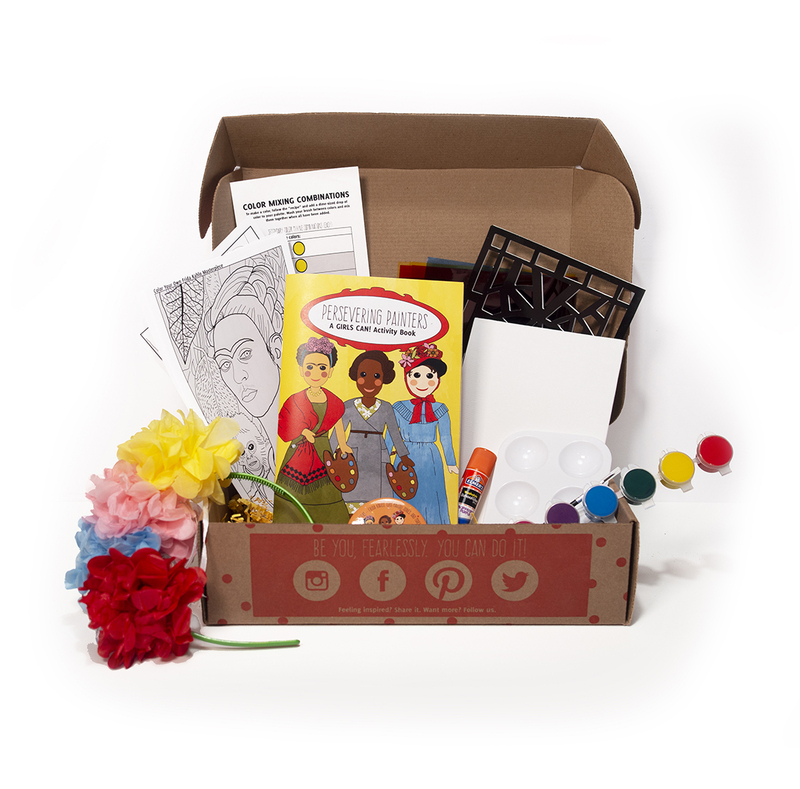 The Persevering Painter's Crate includes painting supplies (paints, a palette, and a brush) so that kids can explore science of color through mixing their own colors, paint their own portraits, pretend to be Frida by making their own paper flower headband, and design "stained glass" just like Lois created! 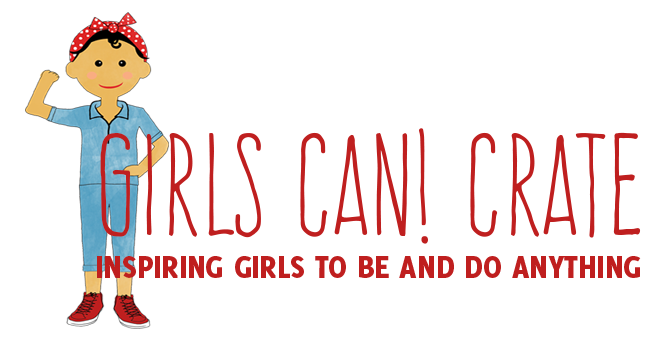 Plus, extend the fun and learning with a 28-page GIRLS CAN! Activity Book featuring the incredible story of these three ladies, a collectible button, and find practical tips for how YOU can inspire your little one to persevere through challenges!